Every disciple of the Lord Jesus shares in the mission to proclaim God’s word. To do our part, adult Catholics must be mature in faith and well equipped to share the Gospel. We are men and women of faith which is grounded in a deep commitment to the person and message of Jesus. We are on a life-long spiritual journey together. Barbara Hughes, a columnist for the Catholic Virginian, will bring us a presentation to begin the holy season of Advent. “Although the words of Mary recorded in Scripture would equal less than a paragraph, her role in salvation history cannot be overstated. Mary is the Mother of God, Mother of the Church, and our mother. Mary is a perfect model of humility and self-knowledge. Neither ordained nor religious, Mary is the perfect model of lay leadership.” 12:15pm in the Parish Hall. Lunch will be served and nursery care provided. Matthew Freeman, co-author of the book, Overcoming Bias, will lead a presentation and discussion about unconscious assumptions. These assumptions can get in the way of our good intentions and keep us from building authentic relationships with people of differing backgrounds. The central message is we can be part of the solution. 12:15pm in the Parish Hall. Lunch will be served and nursery care provided. This event has been cancelled. For the latest updates on adult speakers, please register for our weekly newsletter. Nobel Laureate Bishop Desmond Tutu has long been admired throughout the world for the heroism and grace he exhibited while encouraging countless South Africans in the struggle for human rights. This book is Desmond Tutu’s most soul-searching book. He shares the spiritual message that guided him through troubled times. Archbishop Tutu reaches out to readers of all religious backgrounds, showing how individual and global suffering can be transformed into joy and redemption. Please join the parish in reading our annual All Parish Read. For our next book in our All Parish Read program, check our website, sign up for our e-newsletter, or look for announcements in our weekly bulletin. The truth, beauty, and goodness of Catholicism are illustrated in a multimedia experience. Journey with Robert Barron to more than 50 locations throughout 16 countries. Be illuminated by the spiritual and artistic treasures of the global culture, learn what Catholics believe and why, and discover the full meaning of the faith. Deacons Chris Malone and Charles Williams will facilitate discussions. 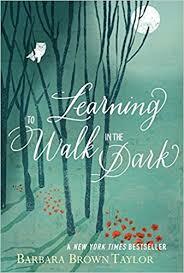 Follow Barbara Brown Taylor on her journey to understand darkness, teaching us how to find God even in the darkness and giving us a way to let the darkness teach us what we need to know. Barbara Brown Taylor is the author of thirteen books, including the New York Times bestseller, An Altar in the World and Leaving Church. Taylor is a Butman Professor of Religion at Piedmont College, where she has taught since 1998. Upcoming Women’s Book Group events will be posted here, in our bulletin, and our weekly e-newsletter. If you don’t currently receive our e-newsletter, sign up here. Bring a friend and a dish to share! We gather together in the parish hall to enjoy current movies. Recently we watched Pope Francis: A Man of His Word and enjoyed the film along with fellowship together. Upcoming Movie Time and Potluck suppers will be posted here, in our bulletin, and our weekly e-newsletter. If you don’t currently receive our e-newsletter, sign up here. Topic: Join us in a discussion on mysticism in the Hebrew Bible, the basis for all Christian mysticism. Third Sundays from 10:00am-11:00am in Monsignor Golden’s Office, Third Floor of new parish offices . The spiritual life is a journey of change. We yearn for a greater spiritual oneness with God. All are invited to join this Adult Faith Formation study and discussion. Topics will be chosen that deepen our relationship with God and build our faith community. One of the best ways to learn about scripture is to read it and discuss it with other people. Recently as a parish we gathered to study the Bible timeline. It was a wonderful opportunity to learn and grow in our faith and understanding of scripture. Upcoming Scripture Study events will be posted here, in our bulletin and our weekly newsletter. If you don’t currently receive our e-newsletter, sign up here. Weekly Updates for April 18: Photos from Palm Sunday, Blessing of the Easter Eggs, and Have a Blessed Easter Triduum!